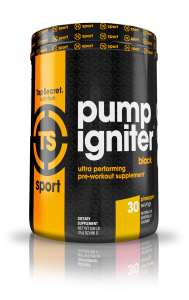 In this post we will present a review of the Top Secret Nutrition Pump Igniter pre workout. In a nutshell, this is a fantastic pre workout supplement that has all the characteristics you would expect from a pre workout drink. As the name implies, it is formulated to provide you with a powerful pump. And we all love the pump. Especially Arnie. Anything that enhances this is good news to any lifter. 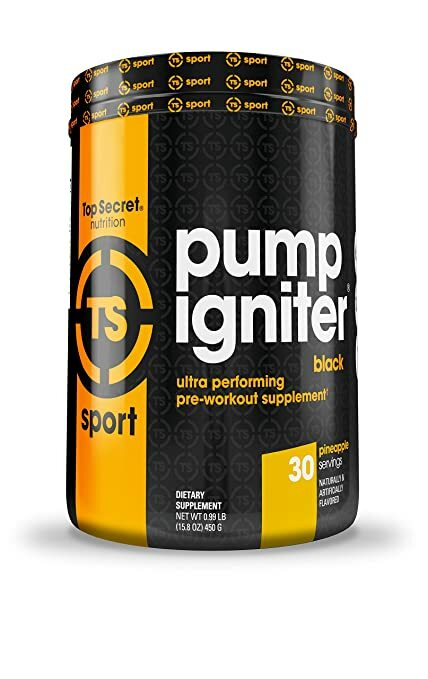 We all love to be at that place where you can feel the pump and Pump Igniter by Top Secret Nutrition is an express ticket to that very place. The author’s personal experience and the anecdotal experience of others concurs that this product will not only get you amped to lift but will also help you achieve new levels of swole-ness, both during and after your training session. 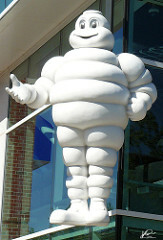 If you have been living under a rock you may not have heard of Top Secret Nutrition. If you have not heard of the company you have probably at least seen or heard of the Cardio Igniter pre workout supplement – they are responsible for this. I cannot vouch for any of the other products they make but when it comes to pre workout powders they seem to really know what they are doing. Both the Cardio Igniter and the Pump Igniter pre workouts are designed for specific purposes and both do a great job of delivering the desired result. We can see from the ingredients list that on paper, Pump Igniter is designed to be a pump-inducing powerhouse. With a whopping 6g of Citrulline Malate and the inclusion of HydroMax one would expect nothing less than maximum swole-ification. If that wasn’t a word then it is now. Swole-ification: the process of inducing ridiculous amounts of swoleness in the muscles. The fact that all of the ingredients and amounts are clearly listed on the label is a great thing – they clearly have a great product and nothing to hide. Lets now take a look at each ingredient in more detail. Citrulline Malate is probably the most widely used and most effective N.O. booster. N.O. increase Nitric Oxide production in the body and more Nitric Oxide in the body stimulates higher rates of blood flow which facilitates the pump. Click here for more details on the mechanics of the pump. Most studies on Citrulline Malate are based on a dose of at least 4g, which many other pre workouts fall short of. Pump Igniter contains 6g which puts it right in the clinically effective zone. Beta-Alanine is another important part of creating a pump, as it helps facilitate the process of stressing the muscles enough to get a good pump. Unfortunately you don’t just get a pump by taking pre workout, you have to work for it. The function of Beta-Alanine in pre workout supplements is to increase the number of reps you can do before the muscle fatigues. CarnoSyn is a specially designed and patented form of Beta-Alanine that is known to be very effective doing this and will help you bust out enough reps to get yourself swollen. Betaine Anhydrous is the amino acid Trimethylglycine (TMG) with the water removed (Anhydrous). This substance is found naturally in certain foods such as beets and Quinoa. Farmers have always known about the effects this substance can have on their animals, and commonly supplement their animal feed with TMG to increase the muscle mass of their livestock. Recently, research has shown that supplementation of Betaine can increase strength, improve muscle endurance and increase growth hormone and insulin-like growth factor 1 production in response to acute exercise. The amounts dosed in the studies above are between 1.25 and 2.5 grams. Pump Igniter contains 1.5 grams per serve which is in the zone of where it needs to be. This is the ingredient that takes the pump to the next level. We would expect the hefty serving of Citrulline Malate on its own to help create a nice pump but with the added HydroMax Glycerol it is almost guaranteed. HydroMax is a patented and very effective form of glycerol that can help create a hyperhydrated state, which is an increased concentration of fluid in the blood and tissues of the body. When couple with the increased blood flow that the Citrulline induces, you are looking at the type of pump Arnie dreams about at night. Ahh, nootropics. These are psychoactive substances that work on your mind. Focus and motivation are key aspects of serious resistance training and nootropics make it a lot easier to stay motivated and not give up. Choline Bitartrate is a nootropic substance that has been shown to help with focus, concentration, stamina and motivation. You have to put in the work if you want to get a pump and this helps keep you on track. 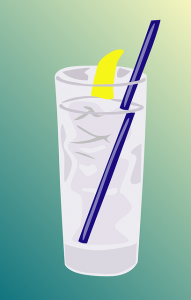 Taurine is an ingredient that is useful in many ways. It works synergistically with Caffeine and helps increase metabolism, it also has stimulant properties when combined with Caffeine and can aid in faster recovery of muscles after working out. This is the third dimension of the pump producing powerhouse that is Pump Igniter. It is another N.O. booster that also has the effect of increasing testosterone levels. 500mg may not seem like much but it is in the form of AgmaPure which is more efficiently processed by the body than straight Agmatine. Of course we all know about Caffeine. 200mg is a nice dose. 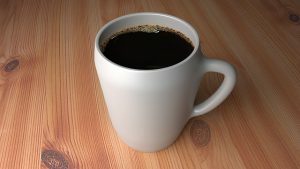 For some people it may not be enough but it is easy to also chug a coffee or some caffeine pills. Personally I don’t like a lot of Caffeine and 200mg is about the max I would want anyway. For more info on what Caffeine does and some Caffeine free pre workouts click here. Now that we are familiar with the ingredients we will take you through the experience of using the Pump Igniter pre workout. We will cover the packaging, how it mixes, how it tastes, what it feels like initially and as time goes on, how it feels when lifting, how long it lasts, what it feels like when it starts to wear off, and of course what sort of pump it produces and when. We will also summarize all this information at the end if TL;DR is more your style. Pump Igniter has gone through a re-branding recently and the new packaging is taller and slightly thinner than it used to be. The new logo is much sexier than the old one and even though it shouldn’t matter I think it does. When looking at a sleek bottle like this I get more excited to take it than when looking at a dreary old 80’s style label. For me it all adds to the experience and I think they have done well here. This pre workout comes in 3 flavors – fruit punch, pineapple and pink lemonade. I am a sucker for both pineapple and pink lemonade and can’t decide which one I prefer, but I can confidently say that they are both great. They have a sweet non-chemically smell which is nice and the pineapple has a sweet and tangy flavor that I love. So far so good. I always mix my pre workouts with a little less water than recommended as I really like the concentrated taste, with Pump Igniter I especially like how the pineapple flavor has a bit of tang to it. It mixes easily and stays mixed which is also nice. Some preworkouts take a bit of effort to dissolve or they don’t actually dissolve and you end up with chunky bits at the bottom. I don’t like that and there was none of this here. Ok, so now we have opened the container, smelt the glory and mixed a scoop with water. Maybe 5 to 10 minutes after you first start drinking it the Beta Alanine starts to kick in and the tingling starts. Personally I love this feeling, it makes me feel alive and I think it prepares my muscles for the onslaught of resistance that is soon to occur. Shortly after this the nootropic Choline Bitartrate starts to work its mood enhancing magic and before you know it, all systems are go and it’s time to lift. So now we have arrived at the gym, the Pump Igniter pre workout is doing it’s thing and it’s time to train. 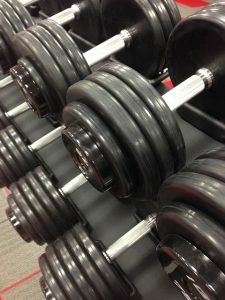 The stimulants are doing their job well – the motivation and drive is there and there is no doubt in my mind that I am going to lift until I’m hurting. As I start some reps I am feeling good. As I get to the end of my sets I can feel the burn but am not feeling fatigued. This is exactly where I like to be. I feel comfortable in the knowledge that I have the energy I need to push out those last couple of reps that will get me on the swole train and take me straight to pump-town. Arms, legs, back, shoulders – every body part I trained while taking Pump Igniter got SWOLE. I found that I had the energy to keep lifting until I felt the burn and then the tightness increased as the swoleness set in. I had some really great workouts using this supplement and it is now permanently in my stock cupboard. As we know, what goes up must come down. This is an unfortunate fact and can be a huge downside of pre workout powders. In this case though, it is hardly an issue. Other pre workouts that are packed full of central nervous system stimulants can leave you feeling really irritable, anxious, depressed etc as they are wearing off but Pump Igniter did not do this to me at all. I don’t exactly know why because there was definitely an ‘up’, so I expected a ‘down’. Maybe it is a gradual descent back to normality or maybe I was distracted by the massive pump I was experiencing. Whatever the case, this is a huge plus for this pre workout as we all hate the come down. The Pump Igniter pre workout supplement by Top Secret Nutrition is a great product. It has an impressive ingredient list which is fully disclosed on the label and neither the ingredients nor the amounts are hidden by ‘proprietary blends’. It is designed to help you achieve a huge pump and this is exactly what it does. It is a professional looking poroduct that tastes great and mixes well and I honestly can’t think of anything bad to say about it. Go get some!